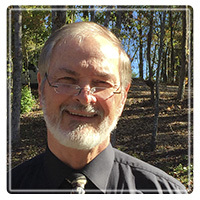 Ellijay Therapist: Dave Jones - Therapist 30540. Send A Message To Dr. Jones. Causes & Solutions Are Not What You Think. Are you totally tired of living with depression and/or anxiety and you simply can’t take it anymore? Do you really want to get serious about overcoming these issues? You CAN finally overcome them. The Biblical Counseling for Depression and Anxiety Ministry provides in depth resources and solutions for depression and/or anxiety. We offer individual personal and confidential phone consultations or in-church or community seminars across the Southeast. Specific hands-on Biblical answers and examples are explained to prove that applying scriptural principals to the problems of depression and/or anxiety are what we need to become free of these debilitating issues. My name is Dr. Dave Jones and I want to present the most current scientific, medical and academic worldwide research solutions to address the true causes for depression. And at the same time, I can provide a Biblical response to the depression epidemic living within people in our churches. · Are counselors referring people who are coming for spiritual counseling to secular resources instead of helping them within the church? · Is there a Biblical response the churches should be presenting to the number of their congregants suffering with depression? · Are Christian Colleges and Universities training Christian Counselors to fall in line with what the drug companies are dispensing regarding causes and treatments? This is not being critical of churches, it’s just that church leaders are not property trained and educated to handle such issues as depression and/or anxiety. Now you can get help anytime or anywhere as long as you have a phone. Imagine how you might be able to contact someone when you suddenly feel you just can't take feeling that way anymore. Or you have finally become serious about dealing with depression, but you don't have time to go get help. Now, when obstacles get in the way and just need to talk to someone who is experienced in this field, call me. It may be on your lunch break, in the car traveling, or just sitting in a park. If you need help at your convenience, you are just a phone call away from real HELP. There is a flat fee of $50.00 per session and I will provide on-going encouragement with follow-up calls. If you want to meet in person, my physical office is located in Cornerstone Baptist Church, 1044 Cherry Log St., Cherry Log, GA.